Part of our mission is to give emerging independent designers an opportunity to connect with a global network of makers and customers. That's why we're incredibly excited to launch our first public design brief to coincide with London Design Festival: Opendesk for Open Plan. Submissions are now closed, thank you for your entries. 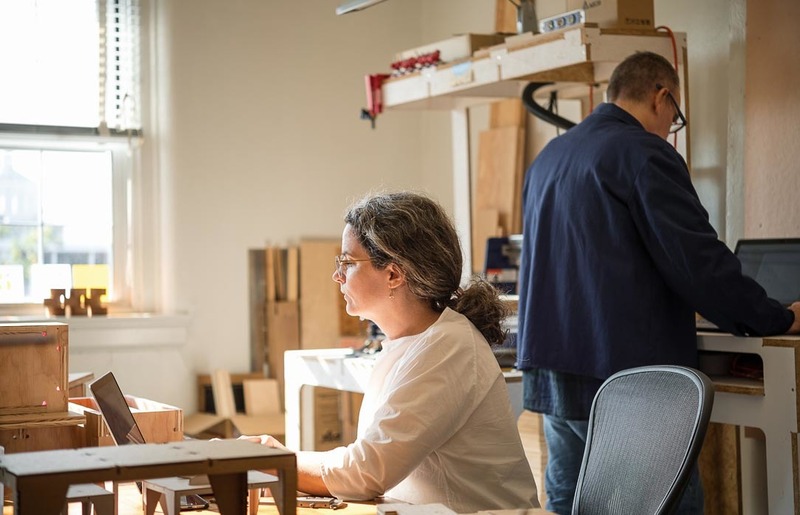 Opendesk is not another office furniture company, but a global platform for local making – an online marketplace that hosts independently designed furniture and connects its customers to local makers around the world. Rather than mass manufacturing and shipping worldwide, we’re building a distributed and ethical supply chain through a global network of makers using CNC routers and standardised sheet materials. We give emerging, independent designers an opportunity to connect with a global network of makers and customers. The ways people work are evolving rapidly, alongside the technology that allows us to do so from anywhere at any time. As these fluid practices become normal, workplaces have to work hard themselves to keep up with diverse activities and fluctuating numbers of people coming and going – sitting, standing, eating, meeting and sharing information with each other or their screens with members working remotely. At Opendesk we have an open plan studio in London, and team members in France, China and Canada – as well as working regularly with designers and makers across the world. We’ve recognised that the openness of our studio fosters great relationships and collaboration between team members, but we still require a structure to the space as well as flexibility. We’ve aimed to create areas of varied use and privacy level to cater to the myriad of working styles and preferences of a diverse group. 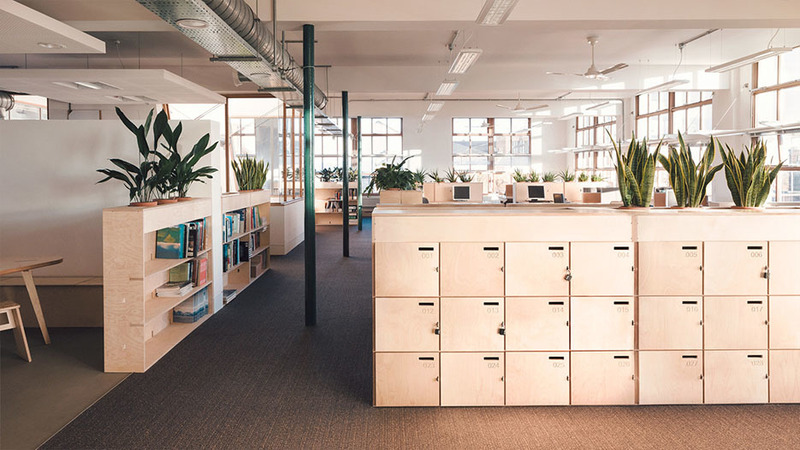 Opendesk for Open Plan is a call for entries on this subject of delineating space – how can you create pockets of privacy and calm, give someone the sense of their own space when they need it, or separate a reception area from busy workstations, meetings, coffee makers and late lunches. We are looking for ideas for room dividers, screens, desk privacy solutions, meeting corners or spaces, video calling booths, and anything else that you can think of to create discrete and indeed discreet areas for the multitude of scenarios found in a shared working space. The entries will be judged by a panel of industry leaders, with up to three of our favourites to be developed further and published on the Opendesk platform – earning the designer a royalty on all future sales and a global distribution network. Submissions are now closed, and we will publish a shortlist of the 10 best ideas at the end of October and the selected designs and overall winner will be announced on opendesk.cc in November. Please read the further information, submission guidelines and terms and conditions below carefully. We recommend that you identify a gap in our current product offering and design a product to fill it – we will be more inclined to develop things if we don’t have something too similar. The Opendesk model relies on digital fabrication techniques to enable our designs to be shared and made worldwide at the click of a button. The majority of our current maker network specialise in CNC routing, so we are limiting ourselves to this process at the moment. 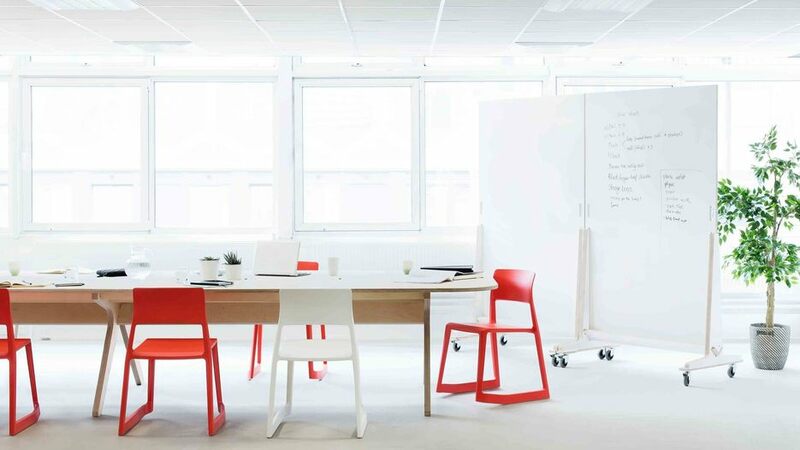 Our distributed manufacturing model brings with it the challenge of obtaining standardised materials all over the world, and for this reason we would like you to work predominantly within our current capabilities of birch-faced and laminated plywood. If your idea relies on another universally available material, this could be more difficult for us to offer worldwide – so we recommend trying to keep this material to less than 20% of the overall piece. For example – if you are designing a chair and it needs two sheets of material, it’s going to end up being very expensive. As a guide, one sheet of plywood including machining, finishing and fees will retail at about £350-400 as a final product (check the studio desk price in your country for more localised pricing). We would like you to consider where your piece would fit within our current price range, and limit the number sheets accordingly. It’s important to consider how your individual components can be nested (laid out on a sheet) for cutting, to keep wastage to a minimum and maintain consistency in the direction of the grain in the assembled piece. If your piece takes up less than a sheet, think of the sheet as broken up into halves or even quarters and try to fit one unit into those areas, as this will make it much more commercially viable. The thickness of plywood varies up to a millimetre from its stated dimension, so to ensure stability and consistency we advise trying to avoid relying completely on thickness-dependent joints. 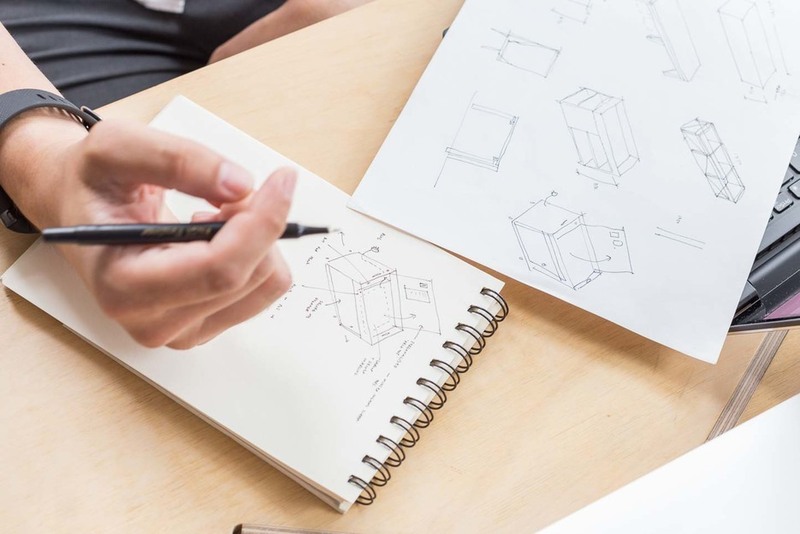 Please see our guide to designing for Opendesk for more information on designing for CNC. Please submit the following files, and do not include your name on the A3 boards or the dxf – only in the file name please. This is to help ensure the judging process is fair and impartial. Product offering - e.g. sold as part of a range, in batches of 2, as a set, etc. Please include all the information requested, as we will not be able to accept incomplete submissions. By entering the competition you are agreeing to the terms and conditions of entry, listed below. More recently, open plan has come to mean a space without partitions or cubicles – very much a communal space and often without distinguishing between employees in different levels of an organisation’s internal hierarchy. But just as there have been many complaints levelled at cubicles over the years, the utopian ideas of the modern open plan office have been seeing a backlash recently – variously described as resulting in more interruptions and distractions, making people feel self-conscious, and inhibiting creativity and innovation. The deadline for submitting entries is 23:59 BST on the 15th of October, 2017. Any entries received after this time will not be considered for the competition. All entrants must be 18 or older on the closing date of submissions – 15/10/17. There is no fee for entering, and you may enter up to three designs per person or group. All works submitted will remain the exclusive property of the Entrant, however by submitting your design to Opendesk you permit us to publish and exhibit your name and work on our website, social media streams, and any exhibitions relating to the Open Call. All design work submitted must be kept confidential until the full results of the competition are published by Opendesk. In the interest of impartiality, the files submitted must not contain the designer’s name, signature or watermark – Your name should appear in the file name only, not elsewhere in the documents. By submitting work, the entrant warrants that submission contains only original material created by the entrant, or team of entrants. 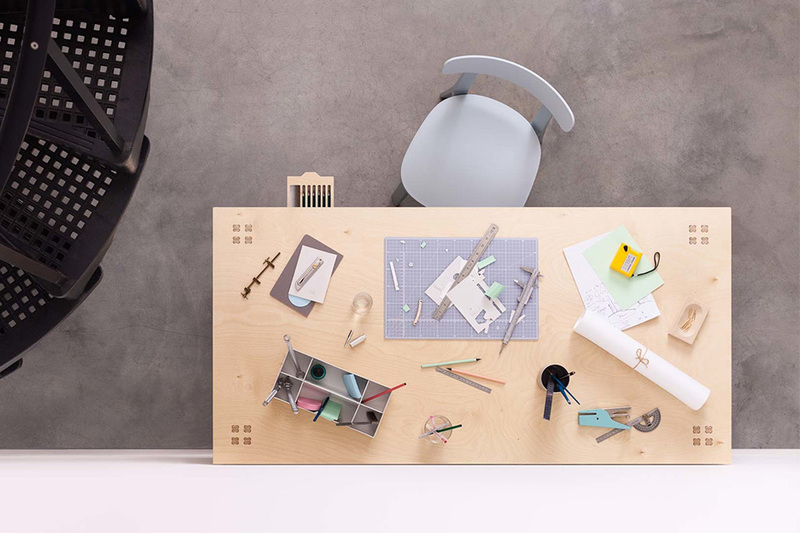 Whilst we would like to find future Opendesk products through this open call, and will do our best to develop the chosen products with the designer, we do not guarantee that any of the selected products will become live products on the Opendesk site. 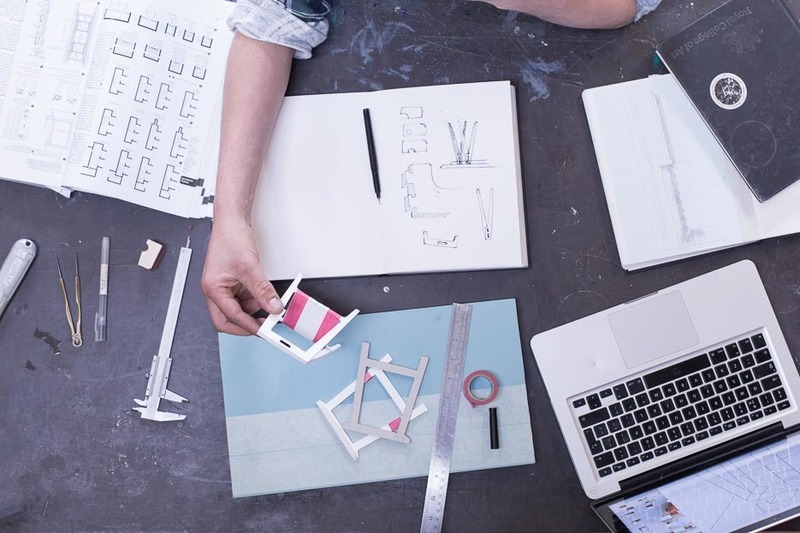 Any products developed further after the submission will be subject to additional agreements between the designer(s) and Opendesk, including but not limited to: Intellectual property, licensing, exclusivity, use of photography and the Opendesk brand. Opendesk reserves the right to discount entries that do not meet our submission criteria or these terms and conditions. 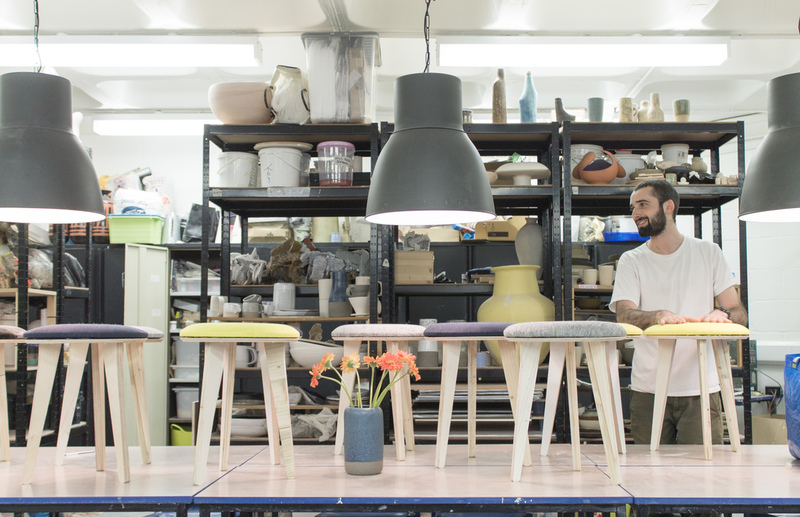 We caught up with designers, architects and creators of AtFab Anne and Gary.